DuckStream is an annual charity streaming event orchestrated and run by Kole Ross and Gary Butterfield benefiting the TransActive Gender Center in Portland, OR. 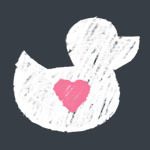 The stream is hosted on Duckfeed's Twitch account. Gary Butterfield, Brayton Cameron and Nick Glauber played Binding of Isaac: Rebirth, Dark Souls, Broforce, Battleblock Theater and Coin Crypt. Reaching $1,000, Gary and Brayton shaved each other. Kole Ross and Dennis Furia played Haunting Ground and Sports Friends. FRIDAY, NOVEMBER 20TH STARTING AT 7PM PACIFIC SCHEDULE. 8PM - 9PM Teenage Dirtbags: Live! Video block with surprise band! 9:30PM to 12:30AM The Great Chalice Debate! Jeremy Greer joins Gary Butterfield to help him through as many chalice dungeons as they can, all the while debating the central issue of our times: Chalice Dungeons, are they terrible or merely bad? *12:30AM to 1:30AM *Multiplayer Block. 1:30AM to 7:30AM Super Metroid! In celebration of the recent revelation that Samus is trans, we're running the entirety of Super Metroid! We'll probably pass the controller around. Live commentary! 7:30AM to 9:30AM Loopy Dudes Theater. Watch as our boys give dramatic readings of some of the worst written games ever played on WOFF! Indigo Prophecy! 999! The drama is real! *9:30AM to 11AM *More miscellaniary! Mulitplayer! Whatever! 11:AM to 7PM A full, pass the controller run of Bloodborne or Dark Souls 2! Whoever is left will pass the controller on death! Catch the vibes! For every $250 donated, Gary and Brayton will record and release a new episode of The Pitch: Uploaded. For every $350 donated during this shift, Kole will shave off a part of his beard.. ON CAMERA.